Man, I missed greasy grove fighting players of while defending the burger joint good times. Worst customer service ever, everytime I go in there isn’t anyone inside. No one to take my order or cook my food. And last time I went some dude in a gingerbread costume headshot me with a shotgun. 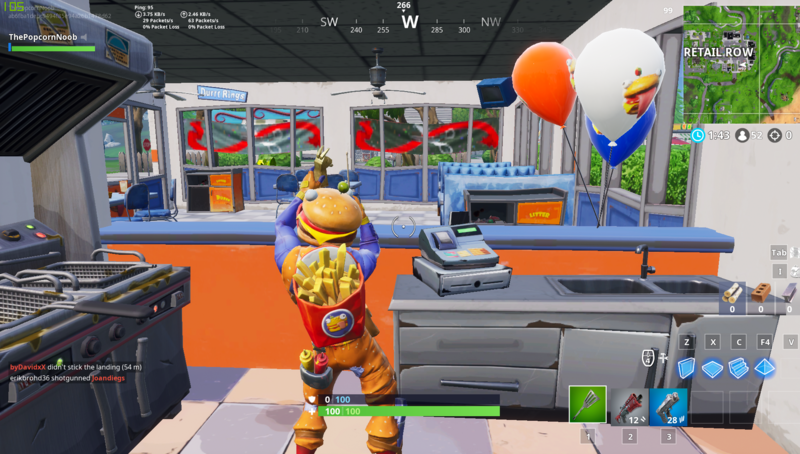 Get somebody to wear tomatohead, from their POV, you’re using the ice kings emote with the patty whacker from behind the counter like ‘you are *not* welcome, sir’.